← Grand finale and good-bye for just a while! Get ready to rosin your bow! 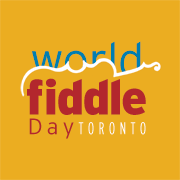 Hi Folks: We are starting to gear up for World Fiddle Day 2015 and have a wonderful announcement to make. This year, it’s Fiddles at the Fort, as World Fiddle Day Toronto moves to the wonderful green and spacious grounds of Fort York. We are planning a full day of activities, with workshops in the morning in various world traditions, a short concert and then, of course, the community jam. May 16 is the day, and we hope you will all plan to make a wonderful day of it. There will be food, and there will be music. Rehearsals will start in February at Long & McQuade’s (Bloor & Ossington store), see our Calendar page. Look for an updated list of music and mp3s on the website by the end of January. Right now, we are interested in ideas – any musical thoughts you have about tunes you might want to hear played on World Fiddle Day. We are trying to find great tunes from as many different traditions as possible – we want the favourites, not necessarily the best-known tunes but ones that everyone loves. So, please post any and all ideas here, and let’s look forward to that beautiful day in May.